When Sean Giffin needs a sounding board while working on a leasing deal or help with specific lease language, he calls friends in the commercial real estate industry whom he has gotten to know through an organization called NAIOP. The Urban Land Institute San Diego/Tijuana District Council serves members on both sides of the border, representing a spectrum of land use and real estate development disciplines in private enterprise and public service. 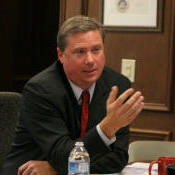 BOMA San Diego has plenty of issues on its radar as 2012 begins. There are a number of attacks being proposed by various parties on the commercial real estate community, including one or more split roll property tax initiatives, mandatory labor hiring measures, and a linkage fee increase to pay for affordable housing. BOMA will also pay close attention to elections at every level of government, including the 2012 mayoral race, which promises to be one of the most exciting in years. In 2011, office, industrial and retail demand continued to improve as nearly 2.3 million square feet of positive net absorption occurred. Vacancy rates continued to decline and rental rates stabilized by year-end. Having been insulated from the overbuilding experienced in other markets such as Phoenix, AZ. and Las Vegas, NV., the San Diego retail property market has rebounded more quickly and activity continues to grow. SACRAMENTO, Calif. (AP) — State senators voted Monday for a pair of bills extending protections to those hit by California's mortgage crisis, sending both measures on to the Assembly. WASHINGTON — The nation's five largest mortgage lenders have agreed to overhaul their industry after deceptive foreclosure practices drove homeowners out of their homes, government officials said Monday. Meissner Jacquèt Investment Management Services is at the forefront of the green building energy movement by integrating energy management strategies into our property management services. 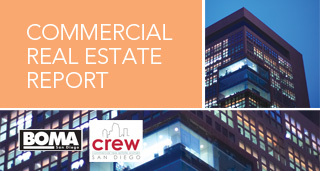 San Diego’s commercial real estate investment activity and leasing market fundamentals are anticipated to improve in 2012, but the extent of the improvements will depend heavily on regional and national employment growth. San Diego has been adding jobs for 17 consecutive months as measured by a 12-month net change in jobs, while the nation has been adding jobs for 16 consecutive months and the forecast is promising. Capital market conditions are expected to be more favorable than last year and the availability of debt from multiple sources with improving terms is expected to increase, assuming there are no additional shocks to the U.S. and global financial markets. Voit Real Estate Services’ San Diego office has named its top five brokers of 2011, who together completed nearly 200 sales and lease transactions throughout the past year. Mark Caston, Randy LaChance, Tracy Clark, Arthur Bleier and Tony O’Neill, all of Voit’s San Diego office, have been awarded the distinction of being named Voit’s top producers in the market. Most professionals, at some point in their career, have been fortunate to have a mentor. A mentor can serve as a wise and trusted counselor and/or as an influential sponsor or supporter. In commercial real estate, a mentor can help build a foundation on which an individual’s career can grow and flourish. The Building Owners and Managers Association (BOMA) International was among 15 partner organizations who joined the U.S. Green Building Council this month to announce the release of a report that recommends nearly 3 dozen executive actions across 23 agency programs where the Obama Administration can drive the economic and environmental benefits of green building without new legislation. The San Diego Building Owners & Managers Association (BOMA) has announced the appointment of the 2012 board of directors. While the commercial real estate market appears to be improving in San Diego County, how much depends on the location and the asset class. A higher percentage of California construction firms plan to add workers to their payroll, according to an employment forecast released by the Associated General Contractors of America Monday. In the mid-2000s thousands of new condominiums were for sale in downtown San Diego. Now with the direct new for-sale figure reduced to around 200, at least one big developer plans to build again. The 880,000-square-foot Chula Vista Center is being spun off into a new portfolio held by a Rouse Property Co. subsidiary. Public and private owners of large shopping center portfolios are hungry for more assets if they can find them, experts said during a Jan.11 meeting. San Diego County experienced the largest number of foreclosed hotels in California, with 27 going back to their lenders in 2011. The City Council unanimously approved a resolution earlier this month naming the city of San Diego the successor to its redevelopment agency. San Diego County's office and industrial markets are expected to mirror what is happening nationally, with a slow but steady recovery in 2012, according to a pair of real estate broker reports. With more than 25 years of experience in real estate, development and construction, GLJ Partners President Garth Erdossy knows nothing worth fighting for comes easy.